Here we are in February, the month when that Mother o’ mine will visit Gidday HQ and I am fervently hoping for a little of the white stuff to fall, or the box of thermals and winter footwear I highly recommended she send across (rather than traipse around with them in Egypt for two weeks) will go to waste. 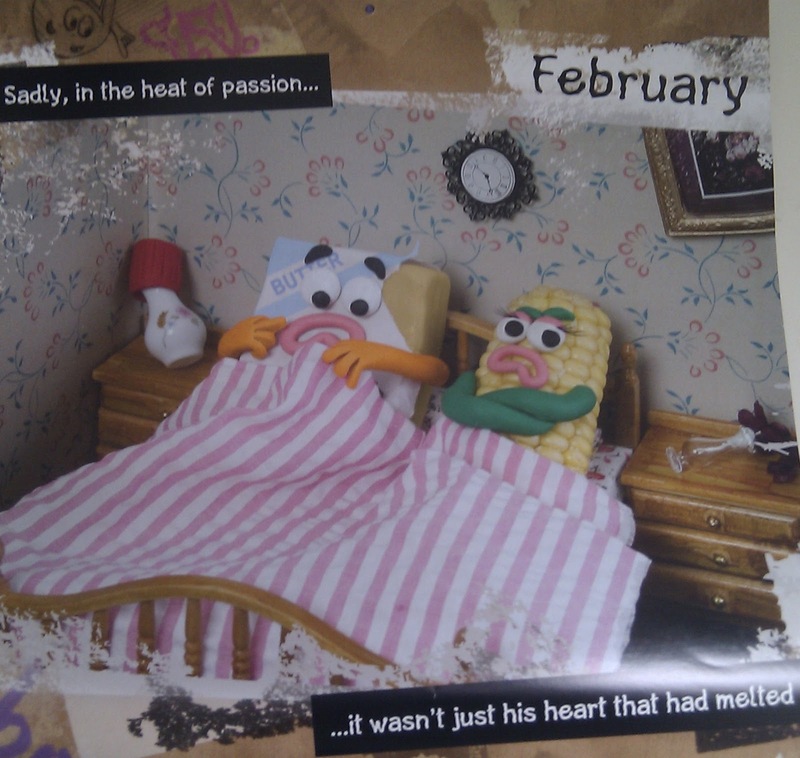 Here’s to a frisky February! This entry was posted in Expat moments, laugh out loud, The Naughty 40s and tagged Five A Day, Gidday HQ, Mum, vegetables, Violent Veg by Kym Hamer. Bookmark the permalink.